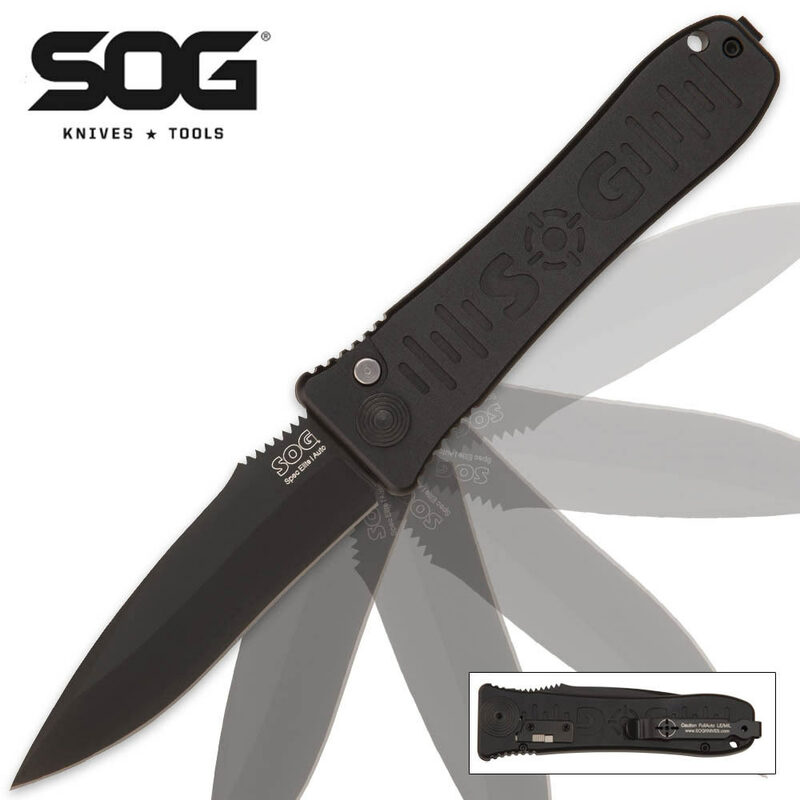 SOG Spec-Elite I Automatic Black TINI | BUDK.com - Knives & Swords At The Lowest Prices! Just good enough and too fast are not words in SOG's vocabulary. Continuing to produce top line products for professionals is what they are fluent in. The new Spec Elite series is a tough contender when the sheet hits the fan. Manufactured from 6061-T6 hard-anodized aluminum these knives employ SOG's state-of-the-art auto mechanism to ensure they open with conviction. New technology springs ensure tens of thousands of reliable openings from the 3 1/2” AUS-8 stainless steel blade with a black TINI finish. Built-in safeties, reversible low carry clips and stout construction make them ideal for LE and Military. HRC 57-58 Assembled in the U.S.A.